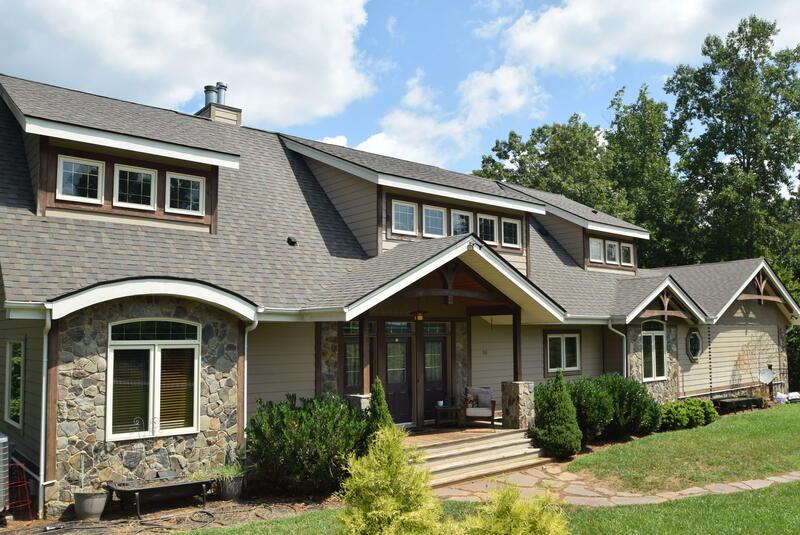 This luxury waterfront home has a large great room with vaulted ceilings, exposed timber frame beams and hardwood floors that extend into a huge entry-level master suite. Master bath has ceramic tile floors, a tile shower and a free standing soaking tub. Kitchen also has ceramic tile floors, granite counter tops and island. 3.5 baths, 3 bedrooms, 2 decks, patio and covered porch with amazing views overlooking the lake. Balcony overlooks great room. Basement is finished with a family room, bedroom, 2nd kitchen, bath with Jacuzzi tub, pantry, bar and sunroom. Whole house generator, multi-zone heat pump, high efficiency ductless HVAC system in basement which could be used as an in-law apartrment. Woodstove, flireplace, 2-car garage, Hardie plank and the list goes on.